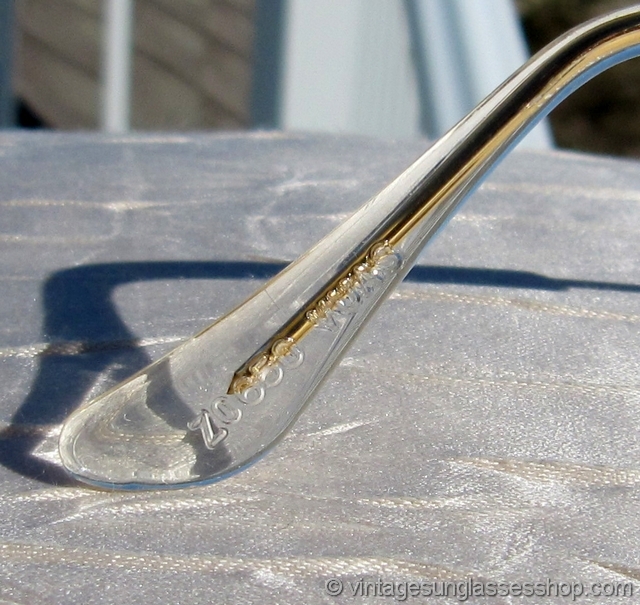 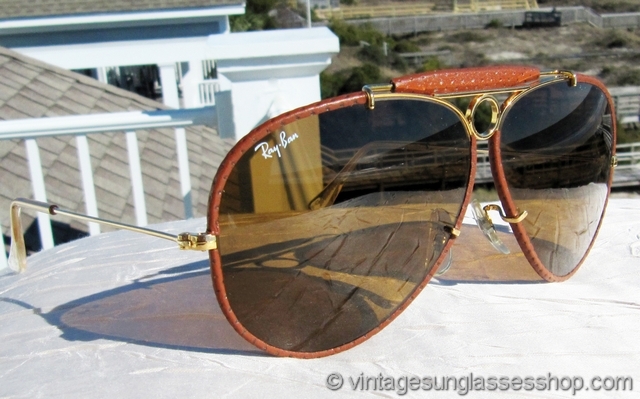 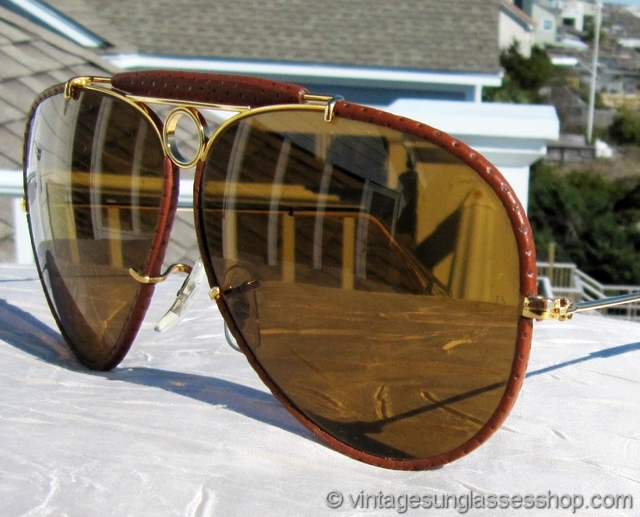 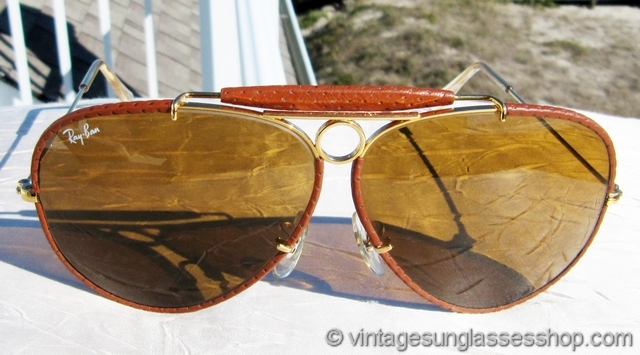 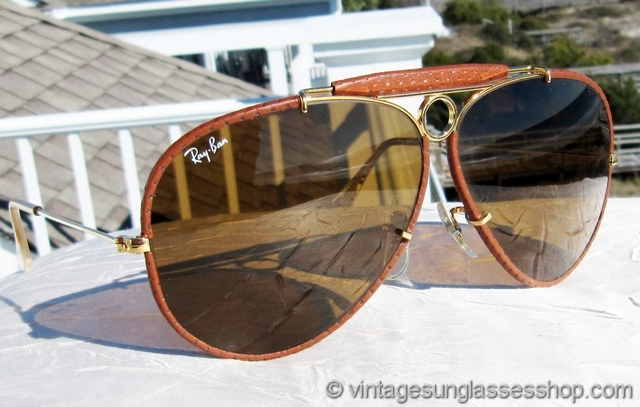 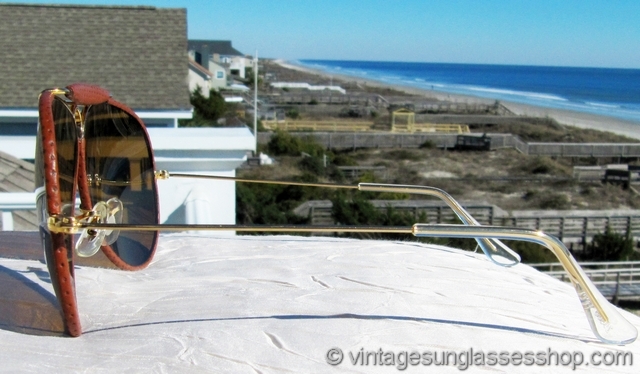 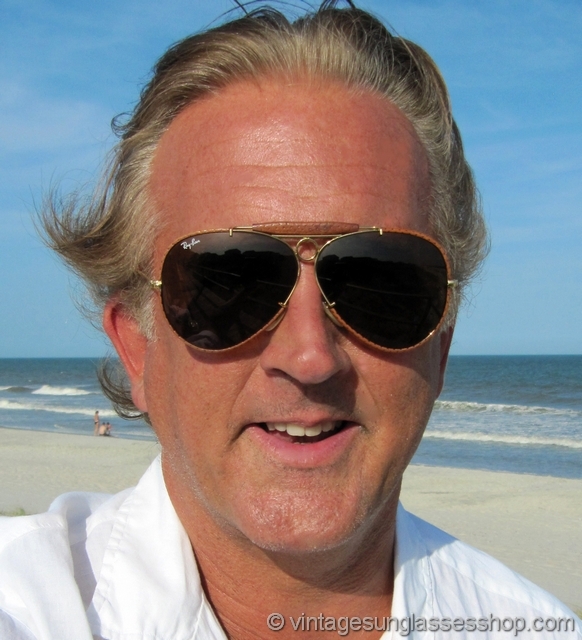 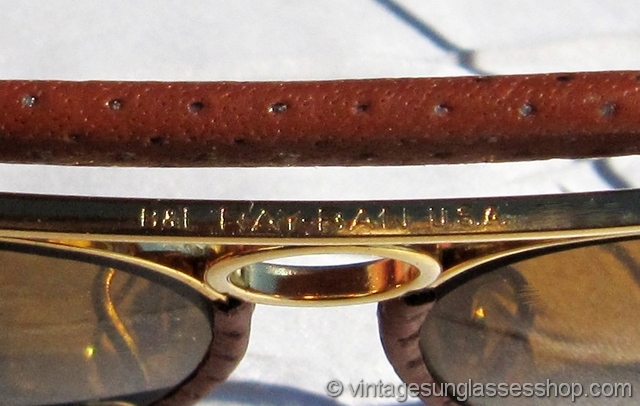 1 Vintage Ray-Ban Z0650 Leathers bullet hole shooter sunglasses c 1980s - early 1990s have all the bells and whistles collectors and folks who love fashion look for. 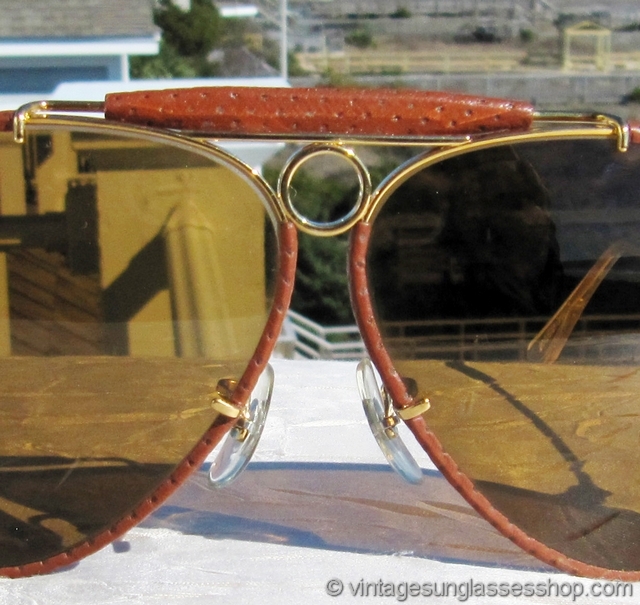 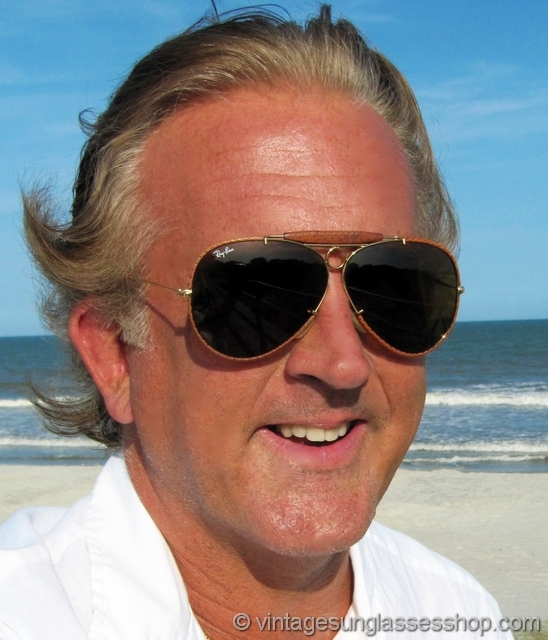 The bullet hole frame design along with the "General" brow bar was a style originally introduced for hunters and shooters to create better balanace on the face, but the incorporation of the bullet hole into the Leathers line of sunglasses made these a real fashion statement. 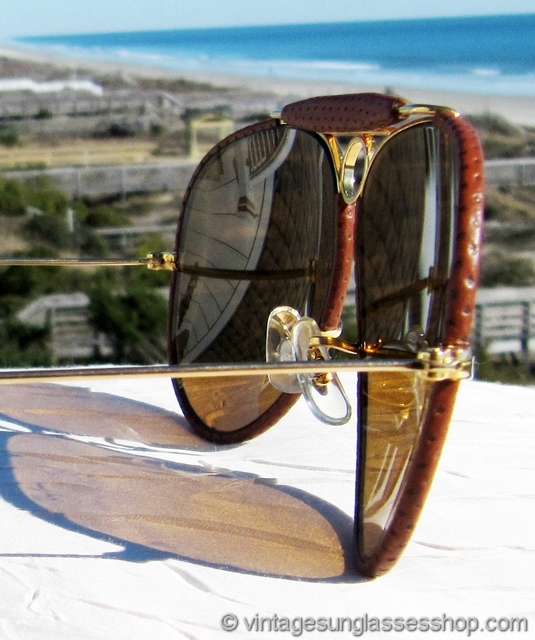 Fine, supple English bridle leather covers the perimeter of both 62mm brown B-15 mineral glass lenses as well as the General brow bar. 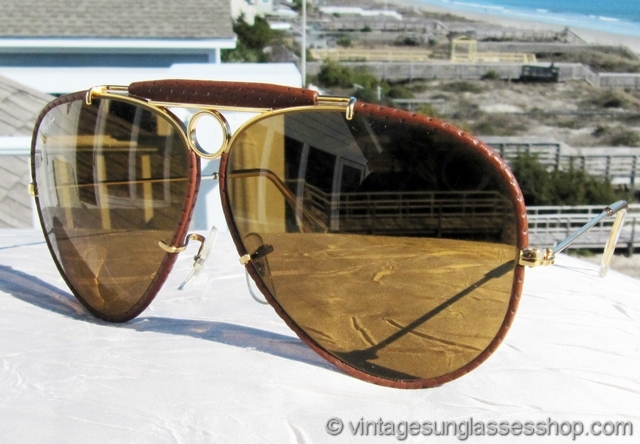 Bausch & Lomb B-15 high contrast lenses work well in all light conditions and are a perfect complement for the brown leather used on these Ray-Ban Leathers bullet hole sunglasses. 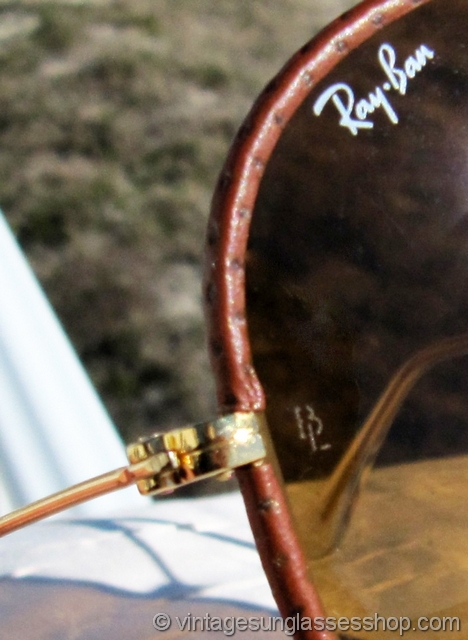 The right lens is laser etched Ray-Ban, and both lenses are laser etched BL near the hinges and measure approximately 2.375" x 2.0" at the widest points. 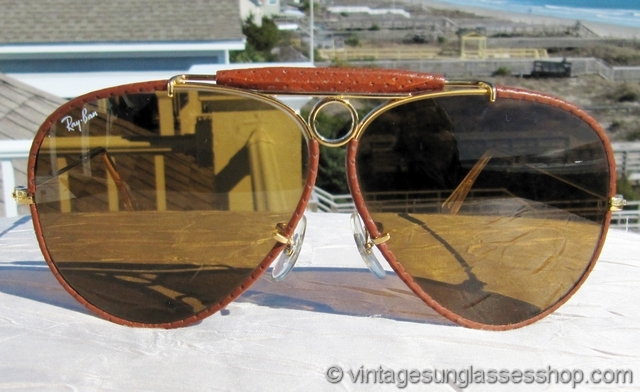 The unisex Ray-Ban Z0650 Leathers frame measures approximately 5.5" temple to temple and is impressed B&L Ray-Ban USA on the nose bridge and on some production one ear pad is impressed Z0650 VUAS, part of a fantastic collection of vintage Ray-Bans from Jackson Hole, Wyoming. 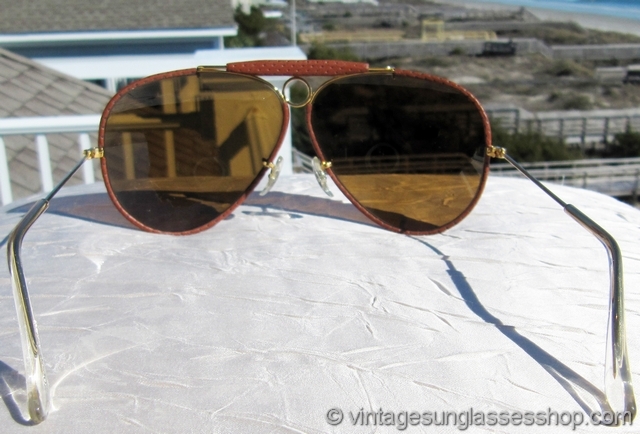 2 Step up another level beyond our already unequaled vintage condition standards with new old stock Ray-Ban Z0650 Leathers B-15 bullet hole shooter sunglasses in mint, unworn condition.